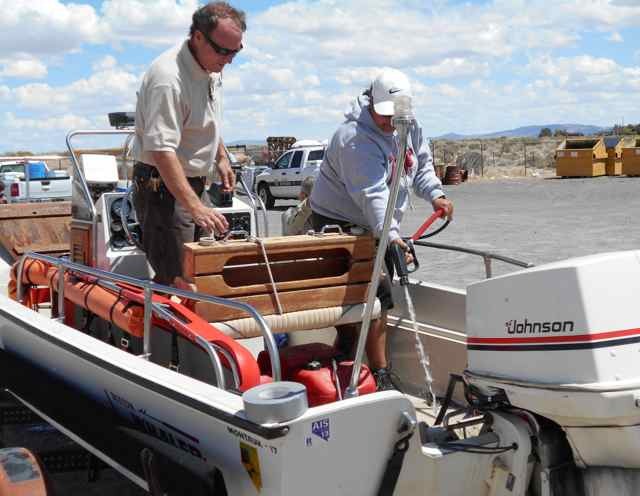 With the water temperature much cooler than Lake Mead, both largemouth and smallmouth bass can still be found on beds. Bass in the coves can be taken using rip baits and drop shots. Large schools of carp have been making fishing difficult as they spook the bass when lures are thrown too close. Catfish are becoming more active and can be seen hanging under roots and other cover. They can be enticed with stink baits, cut anchovies or nightcrawlers.